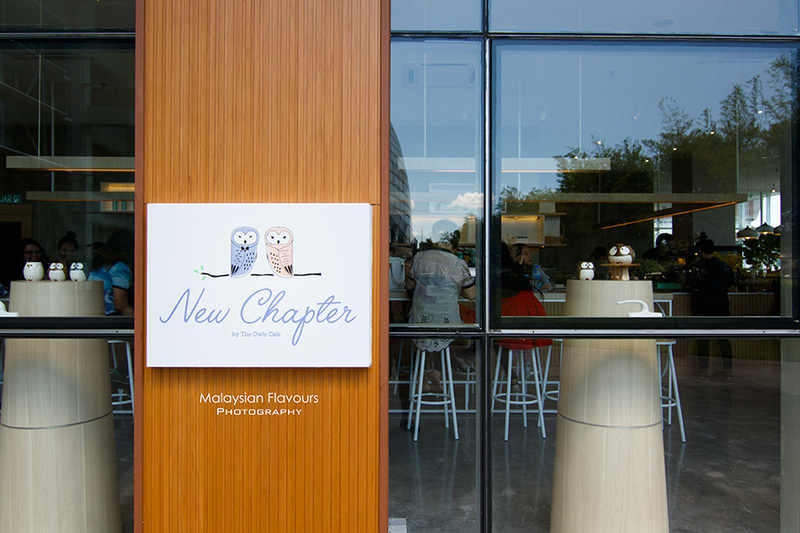 New Chapter by The Owls Cafe, now opened in Calvary Convention Centre (CCC) Bukit Jalil KL (a white colour building when seen from the main road). 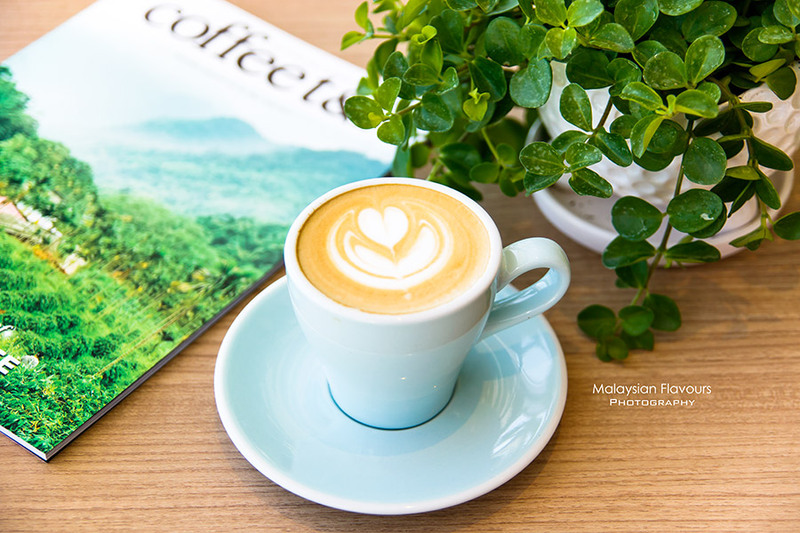 Situated within the beautiful compound of Calvary Convention Centre, a state-of-the-art multiplex surrounded by lush greenery, New Chapter comes in just right to add a touch of lively thirdwave coffee scene. 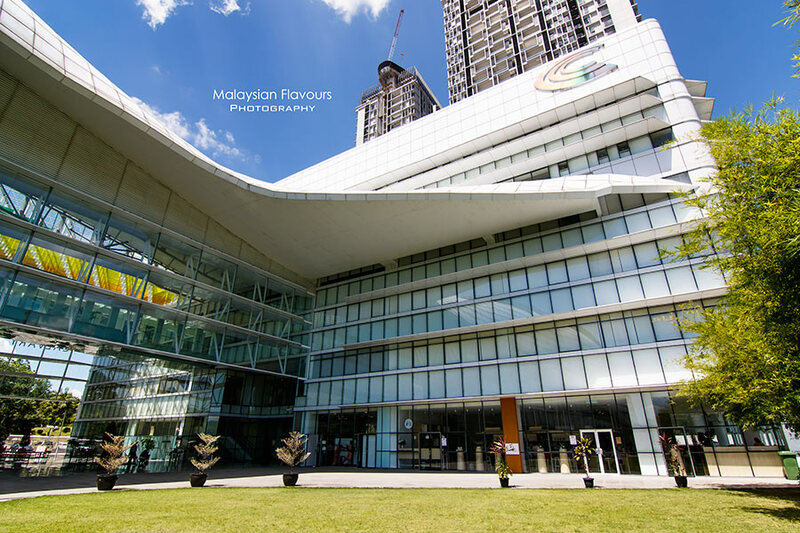 CCC somehow reminds us of Seoul Dongdaemun Design Plaza (DDP), like a simplified version of it. LOL. Just saying. 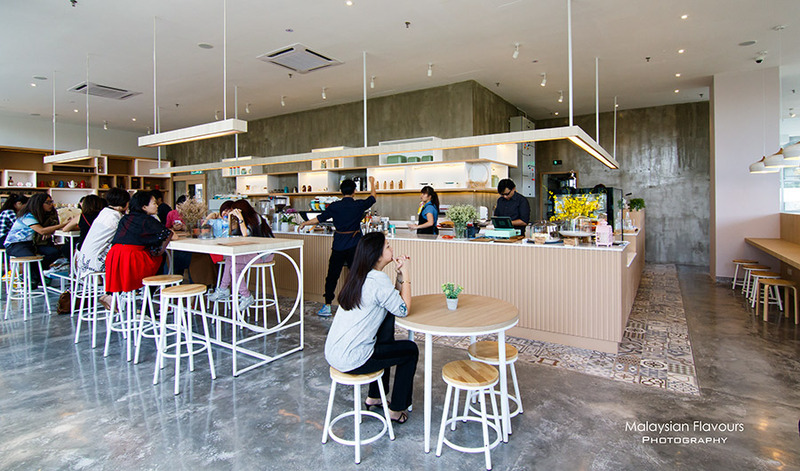 From Rebecca & David waffle to feminine Rose Latte served in pretty Victorian style porcelain ware – The Owls Cafe Bukit Jalil needs no further introduction. Their famous items, and the queue, speak for themselves. 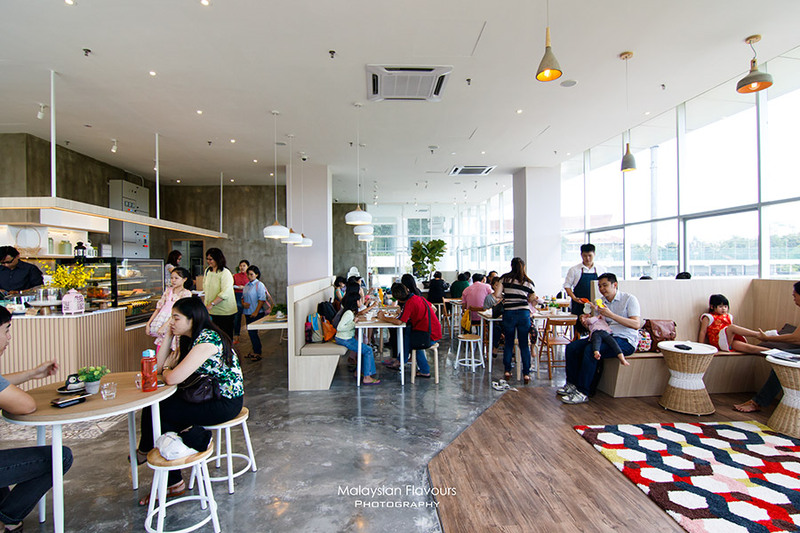 By now, they already have savoury waffles and breakfast menu, still manage to keep up with the good quality till today,. While keeping The Owls Cafe busy, the team has quietly taking on a new milestone. 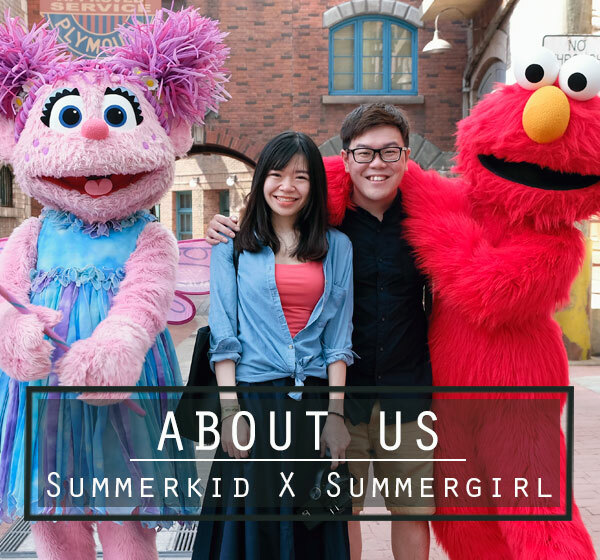 Just last week, we saw from Instagram profile of Lengleng, the short & fluffy barista Instagram profile ( lol this is how she intro herself) from The Owls Cafe about their newly opened cafe – New Chapter in Calvary Convention Centre. More than eager to check it out. Visited last Sunday and surprised with the crowd – it was full house OMG. But at least, no long queue need. We still able to secure a sit at the corner area with great natural day light within minutes. *Grin*. Asking one of the staffs on the brisk business, she told us that most customers are probably from the Calvary church; while on normal days, most patrons are students from collage. I see. A combination of wooden-white furnishing, concrete walls and floorings for the interior theme. Clean look in whole, further adorned with details and colours from potted plants, pillows, partial patterned floor tiles, and mini owls decorations. New Chapter is clearly much bigger, more spacious than The Owls Cafe. New Chapter menu highlight selections they always proud of – coffee x waffle. 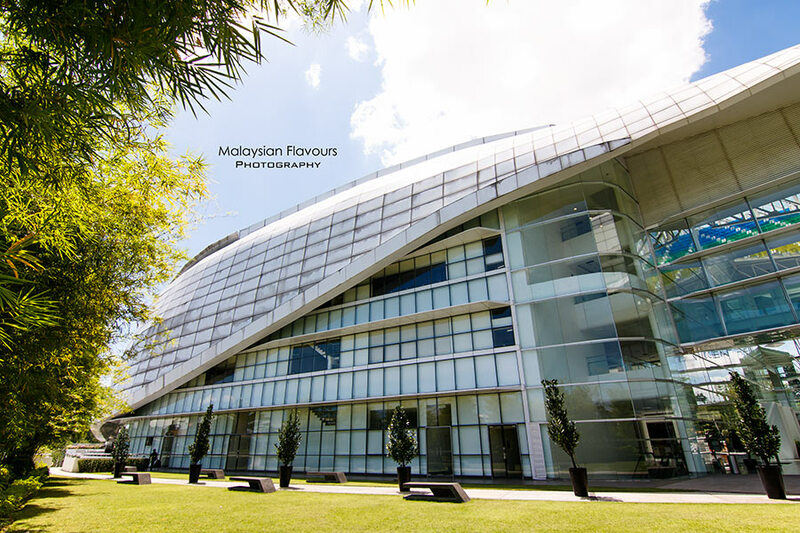 More dishes are now launched to cater brunch, lunch and dinner, churned out from the well-equipped kitchen. Four signature waffles to choose from, those best seller and familiar waffle as seen in The Owls Cafe. Namely Rebecca RM18 (waffle with berries, banana, earl grey ice cream, almond flakes, coconut flakes and Maple syrup), David RM18 ( waffle with banana, vanilla ice cream, peanut butter, chocolate sauce, almond flakes and toasted coconut flakes) , Milo Dinasour RM15( waffle with dark chocolate ice cream, marshmallow, coco crunch, milo powder and condensed milk) and The Classic RM10 ( waffle with French butter and maple syrup) . 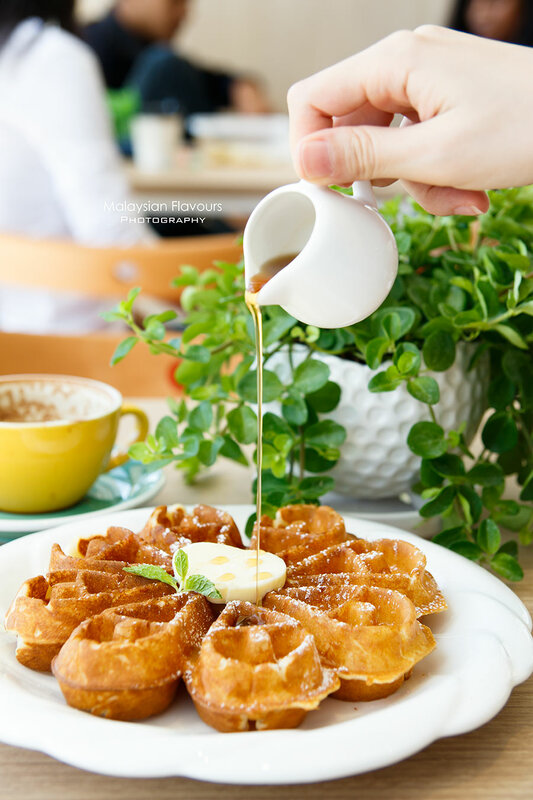 We sticked to the simplest version, classic as it is named, having syrup and butter flourishing the crispy outside, eggy, fluffy inside waffle. 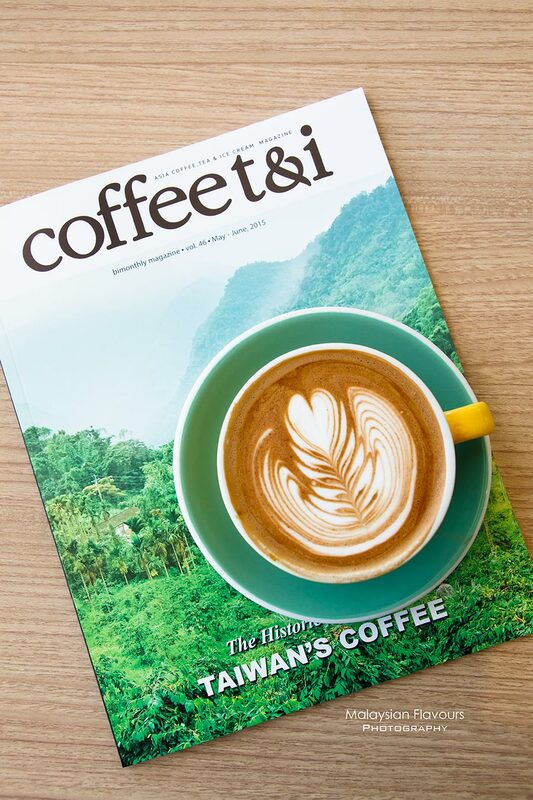 For beverage, New Chapter has no compromise to the quality of coffee as usual. Cappccino , flat white, latte, mocha, long black, cold brew…and tea like Chamomile Flower, Earl Grey, English Breakfast, Super Fruits for non-coffee drinkers. NICE!! I will go there! Can i ask where u park the car? Good morning. does the cafe provide sponsorship for events? Can I also have the email address of the person-in-charge? Hi, is this place HALAL? – if yes can I have the contact number for me to make a booking/reservation.